We are proud to present the Inaugural Professorial Lecture of Professor Alison Raby. Historic lighthouses, seawalls and breakwaters are still standing after many years, having endured an incredible battering. There is no rest for them, as they are still required to warn mariners of hidden perils beneath the waves, or to protect critical infrastructure. However, even modern structures have famously failed in the face of tsunami waves of unimaginable size. In the past, methods of designing structures in the coastal zone were empirical, with much of the understanding acquired by considering previous failures. More recently, our understanding of the nature of waves has encouraged a statistical approach, using long random wave realisations to identify worst responses. But could there be a better way, where design waves representative of extreme waves in particular locations could be used? Alison Raby, who leads the COAST Engineering Research Group, will trace her coastal engineering research over a period of nearly 20 years in this insightful lecture. Beginning with the use of a design wave in the coastal zone, she will describe a series of experimental campaigns on model coastal structures and wave energy devices. The focus will then move from the lab to the field, with a presentation of structural responses to extreme wave loading, focusing particularly on rock lighthouses and tsunami defences. You are welcome to join us for University of Plymouth's Inaugural Professorial Lecture series, which provide a milestone event in a professorial career. Through these we can promote and celebrate the academic reputation and achievements within their research. 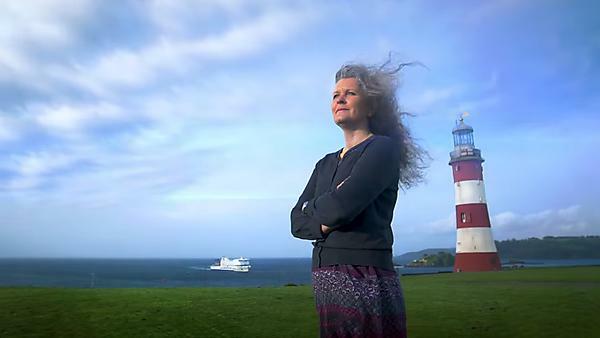 Alison’s expertise places her at the forefront of work in coastal engineering, including considering the wave loading and structural response of iconic lighthouses. Her collaborations span the globe, with UK partnerships in London, Exeter and Oxford, to as far afield as Japan, Sri Lanka, Indonesia and Perth. Her dedication has also resulted in leading the COAST Engineering Research Group, and to her appointment as Associate Head of the School of Engineering, with special responsibility for research. ENFORCE addresses the problem of the most extreme responses at the coast, whether this is wave run-up, overtopping volume or impulse on a section of sea defence works. The University of Plymouth hosts a year-long programme of public events that showcase our research across a spectrum of topics. Beginning with our annual Research Festival, the programme presents the Inaugural Professorial Lecture series, Public Research Lecture series, and the new Christmas Research Lecture throughout the year. All are welcome to join us as our academics open the door to the intriguing world of research, inviting you to learn more about the fascinating work taking place across the University.